What is the Difference Between Cash Bond and Bail Bond? What is the Difference Between Cash Bond and Bail Bond? Home » Blog » Bail Bonds » What is the Difference Between Cash Bond and Bail Bond? In this video it only explains a little difference between Cash Bond and Bail Bond, so I’ll explain it to you further in order for you to have a better understanding of the difference between those two but before that let’s discuss the basics. Bail is a process that allows the person arrested (the accused) to be released from jail in exchange for money (called bail), a pledge of property or a personal promise to return to court for all necessary hearings. If the accused makes all scheduled court hearings, bail is refunded to him when the trial’s over. He gets a refund whether he’s found innocent or guilty. If he misses a court date, however, the bail or property may be forfeited – the court keeps it. In most cases, a warrant is issued for his arrest. The bail, in general, is the term for the amount that the court demands you to pay for securing a temporary release. While the Bond or Bail Bond is a credential that bail bonds company uses to vouch for your release in return you will have to pay a percentage for the bail bond service. Though, both of these bonds are considered as the Two Main types of bonds intended for the person accused of a crime. What Are The Difference Between Cash Bond and Bail Bond? It is a bond posted in person and in cash in a full amount at a jail or facility where the defendant is currently being held. 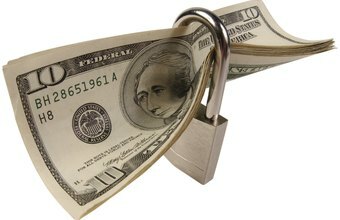 Cash Bonds can be paid in any amount size as long as the defendant can afford it. The cash bond has been considered to be the easiest bond since it that can be posted for as long as the bail bondsman can generate the funds for the bail. How Does a Cash Bond Works? When the bond is paid in cash, the funds paid will be released back to the person who posted it and when the case has been completed, the amount of any court fees will be deducted, plus any extra cost and any possible restitution. The disadvantage is that you will need to come up with a large amount of cash to post your own bond and may or may not get refunded with the cash bond that has been paid for the bail. Surety Bond is a bond posted by a bail bondsman that has been applied by a co-signer with a bail bond service with a premium payment of 15%. The 15% premium of the total amount can be paid in different ways such as cash, cashier’s check, money order, credit card or secure with a property. When you a bond is called Premium, it means this bond is non-negotiable and non-refundable. How Does a Surety Bond Works? When a surety bond is issued, the court will keep it until such time the case has been dismissed or completed. Either it is dismissed or completed the court then will release and return it to the person who paid the bond. The bail bond will be forfeited if the defendant won’t comply with the court order issued. The bond will be forfeited if the defendant won’t show on the date of hearing the judge may allow the bail bonds agent to a certain amount of time to return the defendant to jail and if the defendant will not be in jail for the duration of given time, the court will forfeit the bail and make the total amount due and owing. Bail bond service will pay the total amount to the court and collect the amount to the co-singer that will include any damages and extra fees. The disadvantage of a surety bond is that bail bonds agency doesn’t automatically grant bond to anyone. It requires the accused or the Indemnitor to apply for the bond the weigh its potential before issuing the bond. Though not all charges require a bond for bail. In minor charges, the court may agree to release the accused without the payment or bail. This release is called, release on one’s recognizance or R.O.R. or O.R, meaning the court thinks that the accused has a reputable background in the community and trusted to show up in court without any bail or bond. Both the Cash Bond and Bail Bond are related in terms when referring to a requirement imposed by the court. The only difference is the financial entity that backing up the promise to appear in court in the specified trial date as ordered. Those bonds are designed for only that purpose, making sure the accused will show up in court while staying out of jail for a certain amount as charged.